Arendsvlei is a new show produced by Penguin Films for kykNET and Kie and is being filmed at Atlantic Studios. Roberta Durrant is the Creative Producer and Theltom Masimila is the Head Writer. They are a team of 40 crew and 65 cast and filming continues until May 2019 as there are 156 episodes to shoot! 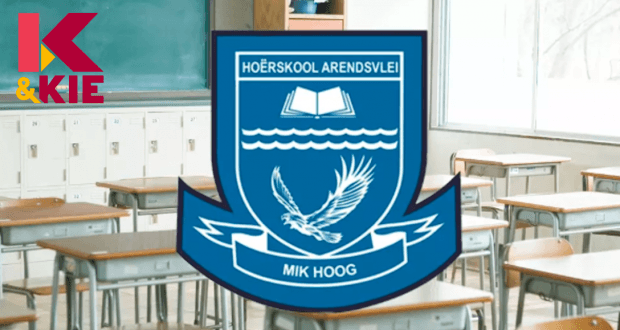 Arendsvlei tells the tale of a most unusual year at Arendsvlei High School – a semi-private institution founded by the Cupido family. A shooting on the school grounds pulls the first thread at this vibrant yet deeply fragile collection of characters. We meet men and women, the strong and the weak, the young and the elderly, all in different stages of searching for love, safety, identity, and power. Arendsvlei zooms in on a variety of conflict spheres and its undercurrents, all while the question remains: Will Arendsvlei High School and its core principles survive as a beacon of hope? Watch Arendsvlei from Monday to Wednesday on kykNET & kie, DStv channel 145 at 8pm.